Dr. Harry Adelson began his training in prolotherapy in 1998 while in his final year at the National College of Naturopathic Medicine. During his residency training in Integrative Medicine at Yale/Griffin Hospital in Derby, Connecticut, he volunteered after hours in a large homeless shelter in Bridgeport, Connecticut, providing prolotherapy to the medically underserved while gaining valuable experience. 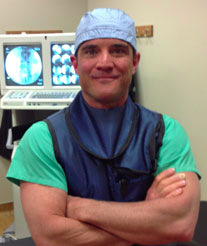 He opened Docere Clinics in Salt Lake City in 2002 and from day one, his practice has been 100% regenerative injection therapies for the treatment of musculoskeletal pain conditions. Since February of 2010, Dr. Adelson has performed over 2,000 bone marrow and adipose-derived adult stem cell procedures, placing him among those most experienced in the world with use of autologous stem cells for the treatment of musculoskeletal pain conditions. Dr. Adelson practices in Park City, Utah and is a Diplomate of the American Academy of Pain Management. On Today’s show, Dr. Adelson discusses regenerative injective therapies and adult stem cell therapy (ASCT). He shares with us why stem cells are so valuable and how he obtains stem cells from patients and successfully uses them in treatments. We talk about the various uses of stem cell therapy from pain management to anti-aging treatments for skin. You can find out more about Dr. Harry Adelson and naturopathic pain management HERE. Copyright 2014 Trevor Cates. All rights reserved.